Each month in Esquire magazine, there’s a feature called What I’ve Learned. Celebrities or thought leaders (a top economist, for instance) are interviewed, and their words are presented as a string of short phrases. There’s wisdom in surprising sources, and it’s always the first thing I turn to when my issue arrives. 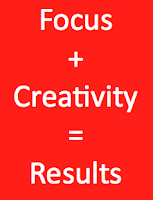 Focu s + Creativity = Results. These things are underrated: Simplicity, curiosity, empathy, listening, patience, substance, courage. Every brand is a service brand. On some level, you’re serving the needs of people. If you don’t respect your consumers, you’ll never serve them. If you can’t respect your consumers, find a new line of work. Know the rules of the markets you will enter. Then decide which ones you’ll break. Market share and market leadership are two very different things. You’ll never be a great marketer by spending all your time in the office. Get face-to-face with your consumers. Cultivate outside interests. Read more books. Make time for exercise, friends and family. Get enough rest. Culture trumps strategy. Thankfully, it’s not an either-or. Great brands start at the top of the org chart, and are lived throughout. As a brand leader, you don’t need to have the Big Idea. But you do need to make it happen. The best way to do that is to surround yourself with the best people you can find. Marketing is an engine, not an expense. You can never know your consumers well enough. But keep trying. Internally, strategy is an exercise in storytelling. Do you believe your own story? A unique experience, created by an inspired culture, is nearly impossible to replicate. You must decide which single measure of success is most important. The Marketing and Sales departments should just bury the damn hatchet. We all want the same thing. Let’s work together on getting there. “We’re Brand X, and we think Brand X is great!” is not a successful advertisement. Mom was right: Keep your promises. The most important part of coaching is fielding the best team. Don’t cut corners on hiring, and don’t keep underperformers on the team. You could try to speak like your consumers or your competitors. Or you could develop a unique voice. Of course you think your products are the best on the market. Your competitors think the same thing about theirs. So what? Do something meaningful. Then you have a story worth telling. Delight the few to attract the many. That old saw along the lines of, “If you’re not failing spectacularly, you’re not doing it right”? That’s crap. Plenty of spectacular failures should have been avoided, and it’s foolish to bet the farm without a very good reason. Smart leaders take calculated risks, not reckless ones. The day you stop imitating your competitors is the day you truly start to build a brand. Consumer loyalty is a fluid spectrum, not a fixed binary choice. There is “product talent” and “positioning talent.” You need both, but mastering the latter is where the long-term wins are. Your brand is not your logo, your color scheme or your website. Can we finally agree on this and move on? Some of the assumptions in your plan will be proven wrong. What will you do then? Think “experience,” not “branding,” and your branding will get better. No excuses. You’re the CEO of the brand. Strategy is an exercise in choice. There’s never just one way to win. A few lousy customers can really get you focused. Clients who require agencies to spec-pitch are not clients worth having. You don’t want a “level playing field.” Within the boundaries of ethics and the law, you want to play the game only you can win. Branding is not an initiative. It’s a mindset. What did you do today to move the business ahead? What have you learned? Please – add your thoughts in the Comments section! Previous PostPrevious Who Really Builds the Brand? Next PostNext What’s the Best Move in Chess?